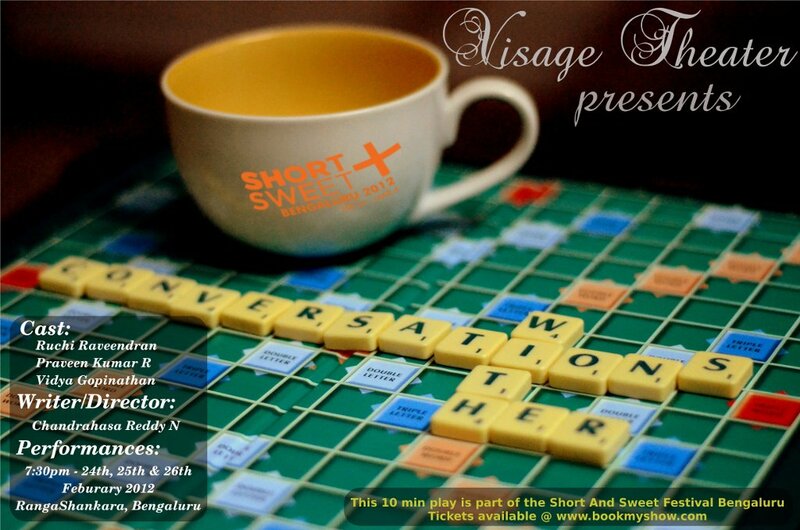 My new play, Conversations With Her is being performed this weekend at RangaShankara as a part of the Short and Sweet Festival Bengaluru. Conversations with her, is a culmination of 4 years of writing. It was in this blog that I first sowed the seeds of pieces of writing that was very close to my heart. In the time that passed, I wrote many pieces and silently hoped to perform some of them on stage. We have two more shows this weekend and fingers crossed for making it to the final the next week. This entry was posted in Bangalore, Conversations with her, Special Days, Theater and tagged Bangalore, Conversations with her, Directing, performing arts, play, rangashankara, shows, Theater, theatre, Writing. Bookmark the permalink.